Description: Just imagine...if you have a large family and want to be in the MacKenzie Heights area and walking distance to Kerrisdale and Point Grey schools - this is the home for you!! 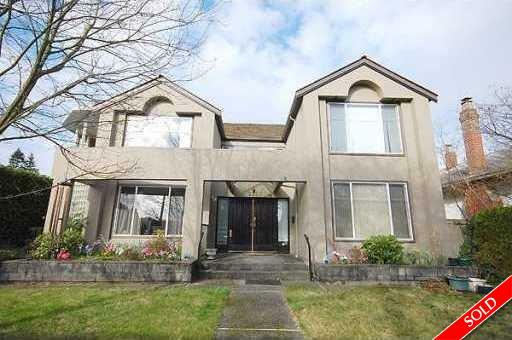 large 55 x 132.25 lot, detached double garage, fully fenced yard- 4130 square feet and all three floors fully finished. The lower level has a recreation room, bedroom, full bath and separate entrance, suiting it would be easy. Main floor is bright and spacious, living room with gas fireplace, separate dining room,newer kitchen with island, eating area and family room off kitchen with french doors leading to the sundeck, bedroom and bath complete the main floor. Up the stairs to 4 bedrooms, huge master bedroom with ensuite.